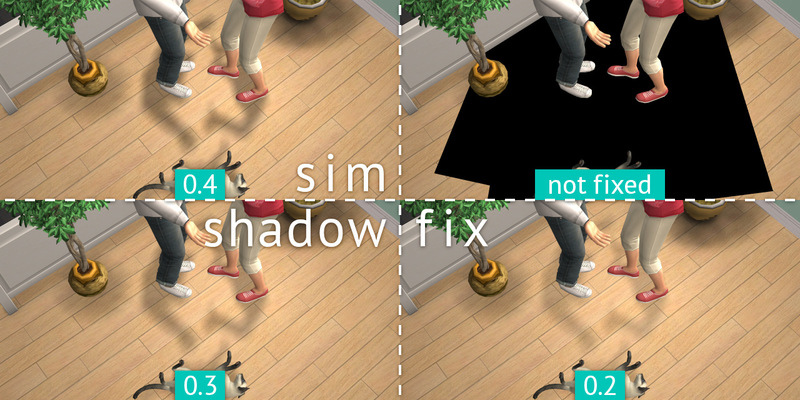 This mod fixes Sims' shadows shown as black rectangles. Originally, correctly rendered Sims' shadows have a blue tint. This mod makes the shadows achromatic. You may use this mod even if your game has no problems with rendering shadows. 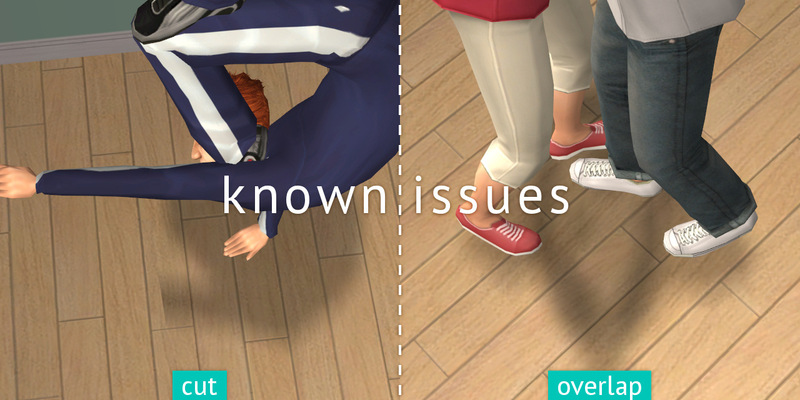 The mod also works with The Sims: Life Stories, The Sims: Castaway Stories and The Sims: Pet Stories. There are three versions which differ in the opaque (see the screenshot below) – choose only one. In the game, set Shadows setting in Graphics/Performance Options to high. You have to delete boolProp simShadows false and boolProp simShadows off from userStartup.cheat (in Documents\EA Games\The Sims 2 (or The Sims™ 2 Ultimate Collection)\Config) too, if this file exist and those lines are in it. Sim shadows overlap and cut simetimes, but it isn't caused by the mod. 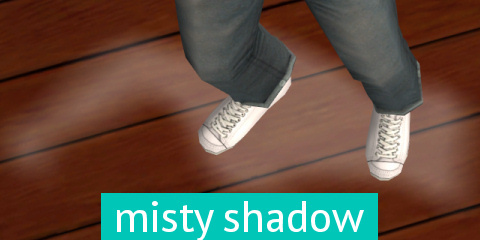 Update (2 JAN 16): If you have downloaded simNopke-simShadowFix0.X and Sims' shadows in your game are misty, try out simNopke-simShadowFix0.XreallyNotMisty instead. That bug may occur on some Intel HD graphics cards. Use only one version of this mod.